"A company’s responsibility does not end at the door to the factory or the office." 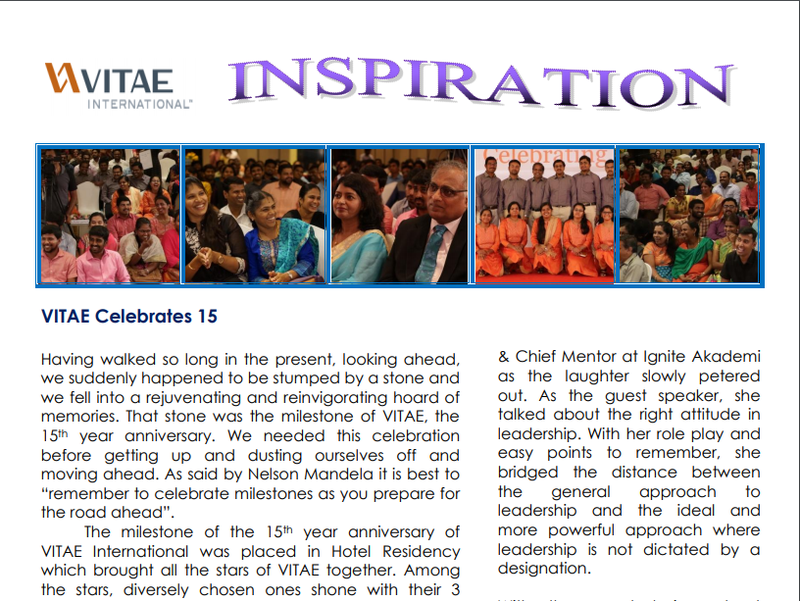 INPIRATION is Vitae’s quarterly e-newsletter that provides insight into the life of the company. Events, achievements, and other notable news are covered by the newsletter ensuring that both staff and Vitae clients are kept up to date about happenings in Vitae and can anticipate and look forward to future events as well. Despite being divided into numerous teams and departments, Vitae’s newsletter reflects the unity of Vitae staff and clients which has enabled Vitae to forge a collaborative atmosphere, bring everyone under one umbrella, to pursue common goals of learning, development and excellence. Learning is an indispensable part of VITAE and to encourage and facilitate learning, VITAE publishes an e-technical journal, ARROW. Arrow is written and edited by the VITAE staff for their peers and clients to remain up to date with changes and advancements in their field of work. It encourages staff to brush up on their knowledge and remain relevant in their field. The journal also contains cultural articles to enable staff as well as clients to understand each other’s cultures and collaborate with each other much more effectively. 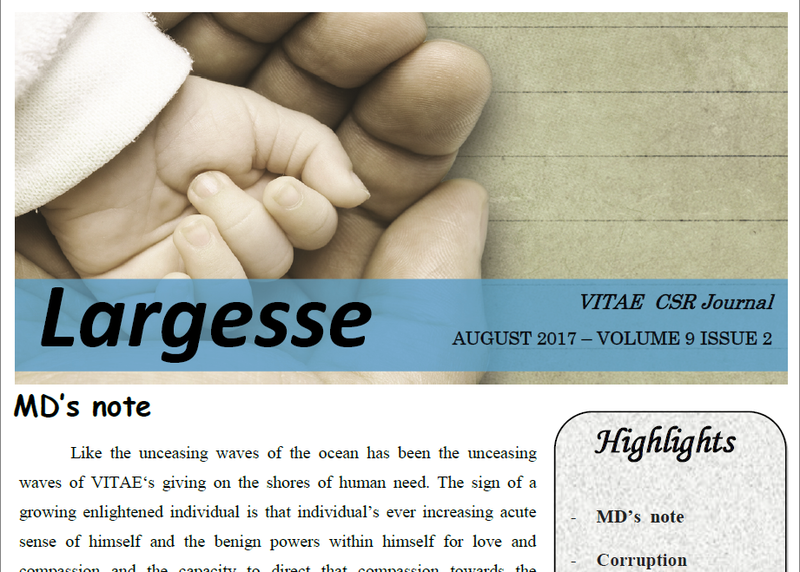 LARGESSE is VITAE’s Corporate Social Responsibility (CSR) e-newsletter. CSR at VITAE is not limited to giving financial resources to the underprivileged but it also involves a giving of time and attention to the development of skills, character and other qualities that VITAE feels are an essential part of humankind. Largesse, therefore, not only reports the goings on among VITAE staff in the CSR avenue but is a call to action to all its readers, be it staff, clients or other stakeholders, to do their part for a society in need.